Medicine: As a student of the study course medicine at the Riga Stradins University, you will acquire knowledge and skills according to the current state of research.The degree optimally prepares you to become a doctor. The duration of studies is 6 years. The study course begins at the end of February and at the end of August each year. The university is located in the city of Riga, the capital of Latvia. With 700,000 inhabitants, it is the biggest Baltic city and one of the biggest in Northern Europe. Riga has its own international airport with direct flight connections to many international destinations. In the city, there is an impressive collection of Art Nouveau architecture. 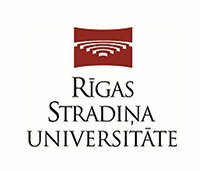 As there is no admission exam at the Riga Stradins University (RSU), every application is assessed by a committee. That is why it is extremely important to follow the application instructions of MSE as exactly as possible. With our experience we will help you to have better chances of getting a university place. Please remember that an early application has better chances, so we strongly recommend to send you decuments as early as possible. The degree is recognized in the USA, the EU, the European Economic Area and other countries.